Although the work of Ana Maria lays its foundation in the graffiti tactics, it is going one step beyond the categorization. Her specific approach is embodied in the hybrid creatures that populate her works. 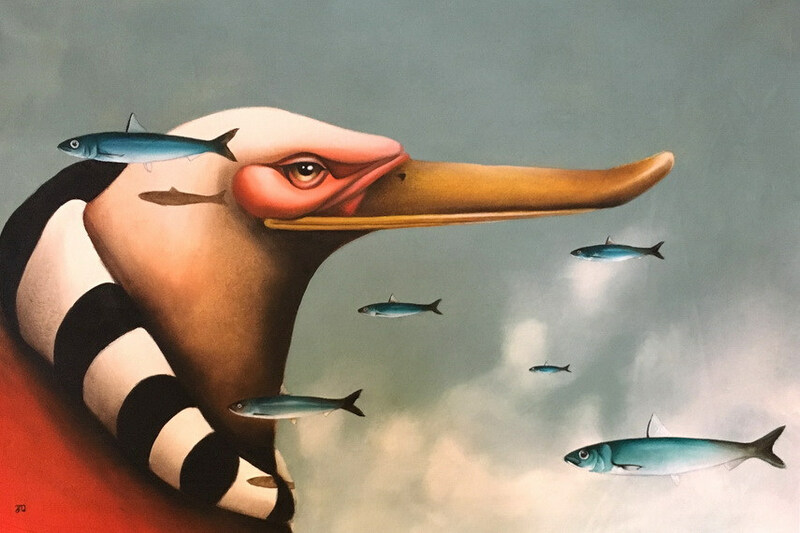 Actually, Ana Maria paints and draws animals with exaggerated anthropomorphic features in order to express both her admiration for fauna’s possibility to adapt and the disappointment in humans utter disrespect for the nature in general. It seems that her agenda is aimed at constructing some sort of dystopia, a dark place for the uncanny and strange, yet noble beasts that are not endangered by the human presence. Ana Maria Ortiz aka Ana Marietta was born in Puerto Rico. From the early childhood, she was enchanted with drawing and painting and use to paint on old wood pieces with tempera in her father’s wood shop in Barranquitas. She studied art at the University of Puerto Rico Mayaguez, but interestingly graduated with a BA degree in Animal Science. In 2011 she moved to Houston in to pursue a career in the Animal Health field but became a full-time artist in 2015. From 2012 the artist is often presenting her work in group and solo exhibitions in various locations such as Mexico, London and at the prestigious Station Museum of Contemporary Art in Houston. The surreal compositions of Ana Maria depict the lurk and somehow lost spaces where the main characters are standing like silent observers. It seems as if they are full of ambiguity, they are both eager to communicate and not to make a single gesture. The artist’s experiences from the laboratory and in the open definitely served as an inspiration for constituting the characters. 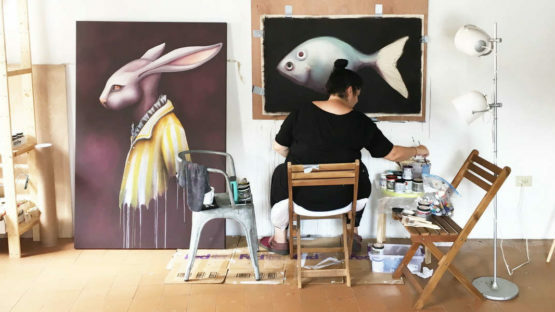 Though Ana Maria is using different painting techniques from acrylic to watercolors and oil painting, the canvases are always fulfilled with smooth and pastel colors and even when she paints human figures the approach is the same. 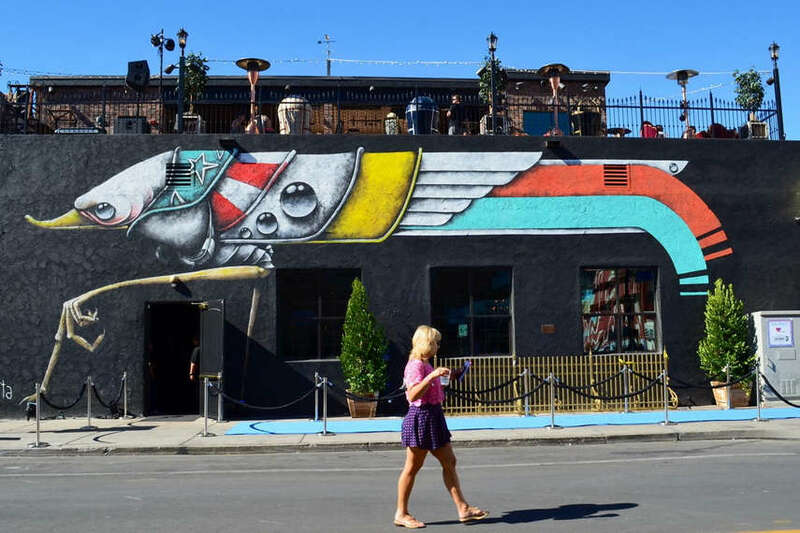 Creating large-scale outdoor murals is one of Ana Maria’s features. 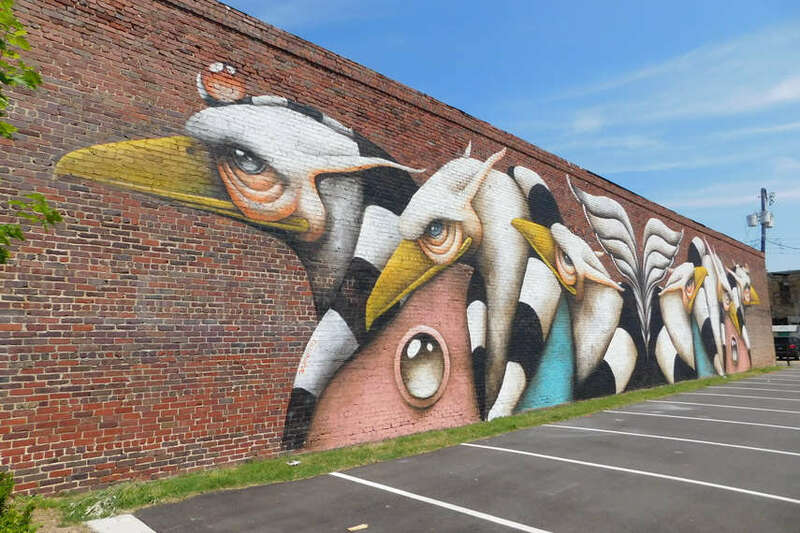 She realized several of those in multiple cities and they are recognizable for the subtle brush strokes and shading of hybrid creatures that bear her signature beaks and human-like eyes. The artist process involves preparing the sketch which is a reflection of the place and the context. The materials list is a necessity in regards to preparation and selection of the required equipment. Street art paintings of hers can be found in a number of cities around the globe spanning from London, over Turin, to Hawaii and Kiev, to name jus a few. The participation in many renowned festivals such as Life is Beautiful in Las Vegas or famous Pow Wow Hawaii brought her with additional experience and enabled her to develop her authentic style further. 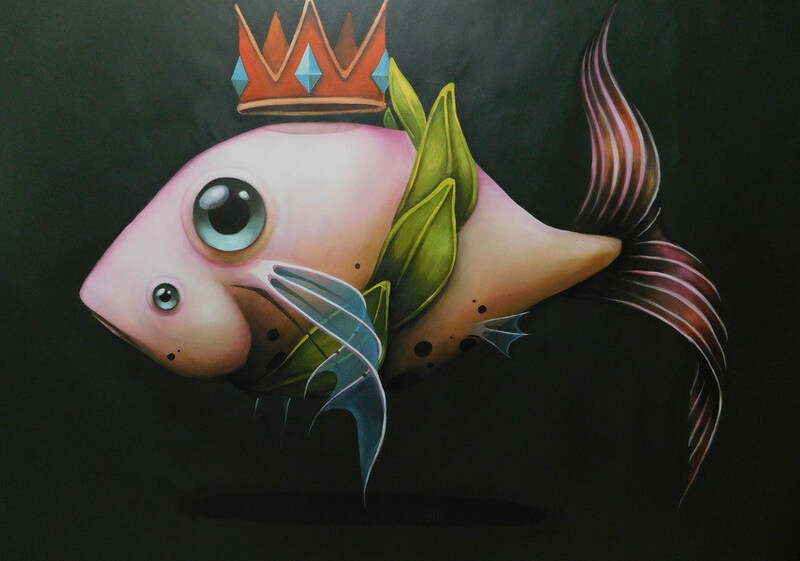 From 2013 she is a part of the JustKids platform dedicated to engaging visual artists and providing them with help in producing large scale murals, public installations, live performances, videos, prints, and exhibitions. Ana Maria lives and works in Houston.